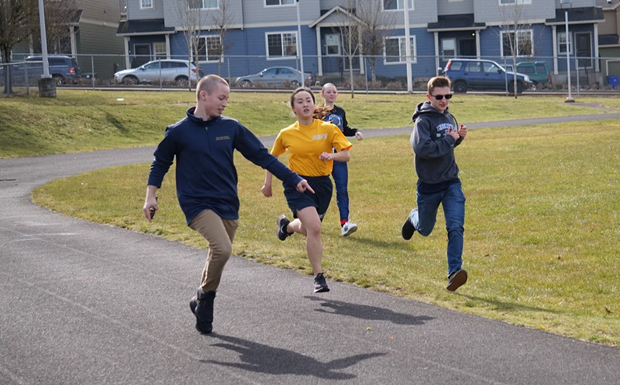 Cadets Chandler Alexander, Kerrek Matson, and Olivia Van Ry push Cadet Taylor-Nicole Le (10) to finish strong during the mile run. 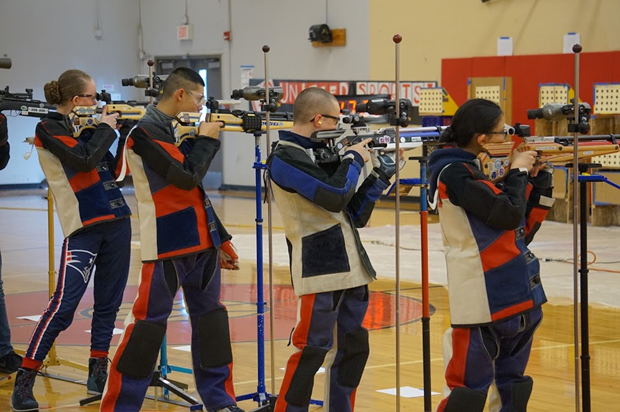 From left to right: Cadets Olivia Van Ry (11), Christopher Lew (11), Chandler Alexander (12), and Mathea Caole take aim during the precision air rifle competition. Mathea Caole led the team with a season high 572 out of a possible 600. 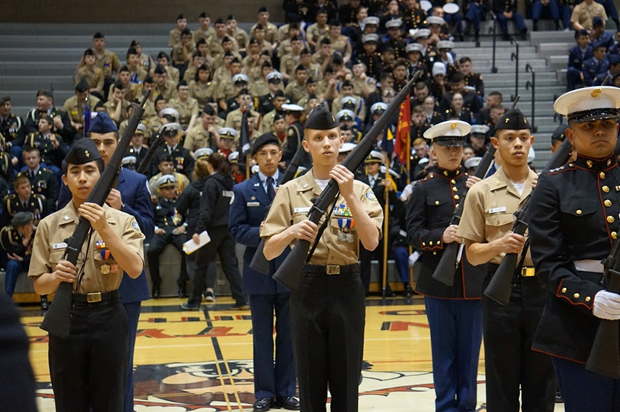 Cadets Daniel Tsang, Carson Tucker, and Christoper Lew compete during the Individual Armed Drill Down. 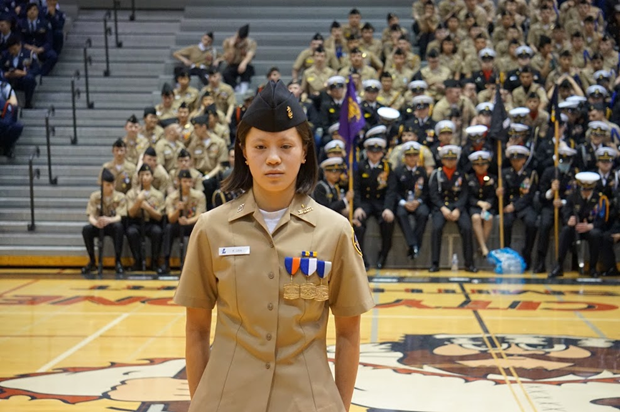 Cadet Kaitlin Lew (9) stands by to receive the Conference Iron Woman Award which is given to the female Cadet who scores the most points on the physical fitness test! Older PostLHS DECA Qualifies for Internationals!